South Adelaide's Under-18s finished their season on a high with a 104-point win over West Adelaide away on Saturday. While both teams were not going to figure in the finals this year there was still plenty to play for. Both teams had beaten the other once already this year with Westies getting one up on us back in Round Six with a 26-point win. We were then able to even the ledger in Round 13 with a solid 69-point win at home. This final game of the year presented an opportunity for our players to have a winning season against Westies and to finish the year on a positive note. They did just that with a comprehensive four quarter performance and their 6th win for the year. The game was played with a strong wind favouring the southern end goals. Our guys got off to a good start kicking 5.5 with the wind to Westies one goal into it. 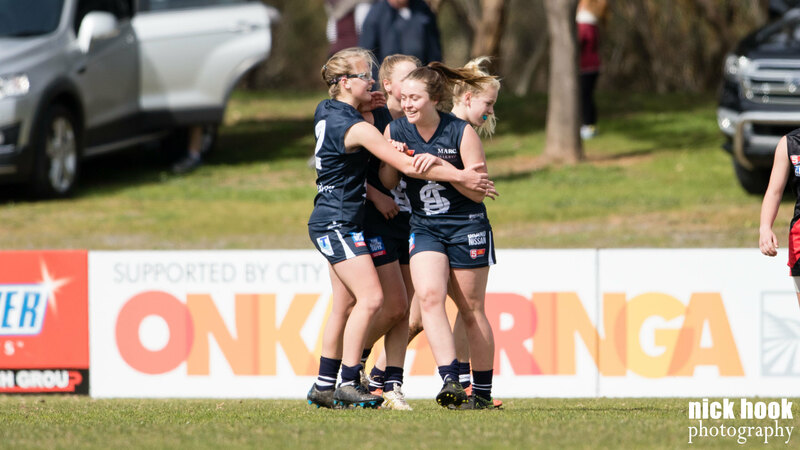 The game was then set up very well with a solid defensive performance in the second quarter to hold Westies to only five behinds while adding three goals into the wind. The second half was much the same as the first, with our guys dominating possession and denying Westies scoring opportunities. At the other end in our forward 50 we were finishing the work done by the backs and mids with some excellent scoring efficiency once inside the forward 50 arc. There were many good players across the game, but the guy who got us going early when the game was alive was Under-16s Best and Fairest player Sam Whitbread in a midfield and half forward role. As mentioned earlier, it was a nice finish to what had been a long year with a small reward for all players, staff and coaches for the year. We wish the senior teams all the very best in the finals starting this week.